Wooohooo! We made it a whole year! My, how time flies. I have loved blogging with TB&TB for the past year, and mostly because of our awesome followers and my amazing fellow TB&TB contributors. When I first started out, I thought reviewing a book for a public blog was an extremely daunting task. I'd never done anything like it before. I've learned so much, though, and can't seem to shut up about books anymore! Anyway... 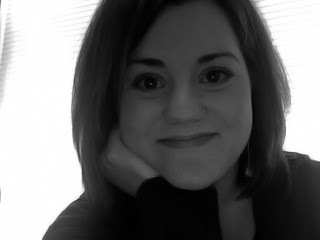 I'm Jana, aka @SweetestJana on Twitter. I just barely turned 24 (on the 22nd!). I'm a nighttime blogger, and a daytime graphic designer. I love to have fun and I love meeting new people. I spend ALL my money on traveling. I'm very spontaneous and I love to participate in the most random activities. I have many, MANY shoes... all of which are completely necessary and I can't part with. I love music, books, movies, shopping, food, and wonderful people. Oh, and I sing. A lot. Today I'm going to tell you about some of my bookish ways and a few random secrets about myself that you most likely didn't know. 1. Do you have any bookish quirks? I organize my books by height, author, and series. If I have one book in a series in hardback, they ALL have to be hardback. Same with paperback. All books in one series have to be in the same format, even if I have to pay extra. I get extremely attached to my books. If I love a book, I can't part with it. I can't give it away or sell it. It must stay on my shelf, or in my collection forever. And finally... If there are grammatical mistakes in the book I'm reading, I get out a pen and correct them. I loved books when I was little, and I love this question! 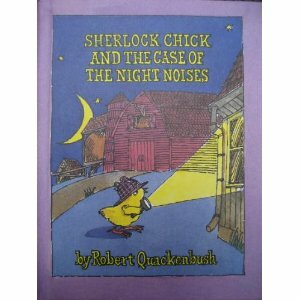 There was this series of books called Sherlock Chick about a little chick who loved to solve mysteries. The one in the picture is about the case of the mysterious loud noises that are awakening the farm animals every night. There were 4 books total, and I just spent $28 on Amazon Marketplace to buy used copies for my own collection. They are no longer in print. I also loved the 4-book series about Henry the Duck. 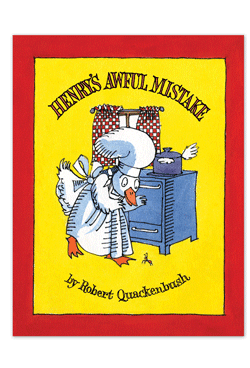 In Henry's Awful Mistake , Henry wants so badly to get rid of an ant that's loose in his house. He goes so far as to actually flood his entire house in the process, and has to move out. Luckily these are still in print, and I just bought those as well. I must say, this question was not good for my bank account! As I got older, I also loved Amelia Bedelia, The Babysitters Club, Full House Michelle, Full House Stephanie, and Nancy Drew. 3. Favorite place to shop for books? I don't really have any fun bookstores where I live. I just have the normal chains. I wish I had some cute, quaint bookstore to visit, but I guess Border's will have to do! I really enjoy Border's, plus I get an educator's discount for teaching in an Elementary school. "I know the formula--he wants her, she refuses him, he charms her, she holds her ground, he does something dramatic like saves her from a fire or reinstates her family's lost fortune or dies, she realizes she loved him all along, wedding bells ring or pirate flags unfurl or she joins a convent, happily ever after--but I don't expect to live that way. I've learned that life is not like novels. Especially not like novels with rippling muscles on paperback covers. After reading a couple hundred of those books--you know, hypothetically speaking--you start to see that there's not that much difference between a romance and an epic fantasy. You've got your quest, sometimes it involves a ring, and a hero who will stop at nothing to do what he has to. The difference is usually the girl. And I'm not that girl. I'm not the girl who inspires men to commit acts of heroism. In real life, those girls speak much more quietly and breathe a lot louder than I do. I'm not the girl who strikes men speechless with her beauty. Really, really not. I don't even know how to flutter my eyelashes. But that's life. Not romance-novel life, just real life." 5. Strangest encounter you've had while at a bookstore? Ok, I swear I'm not kidding. I was at more of a media store than just a bookstore, but it still counts. Books were sold there. I was going through a bin of discount items, just minding my own business when this guy (let's call him Nate) comes up to me and says, "Jana?" I look up, utterly confused, and stare at this guy I had never, ever seen before, hoping to have some kind of epiphany and gain control of the situation. To be polite, I say something along the lines of, "...y-yes?" Then he smiles this huge smile and tells me how great it is to see me again after all these years. I still had no idea who he was, so I just stood there smiling as he told me all about how he hung out with me and a common friend (let's call him Peter) in high school. High school was only 4 years ago at this time, so I was really confused as to why I had never seen this guy before. He ended up asking me out, and I said yes because I still did not want to admit I had no idea who he was. A few days later, I called Peter asking for a little bit of a brain refresher. He proceeded to tell me that Nate was a part-time janitor at our high school during my junior year, was now Peter's boss and mentor, was 5 years older than I was, and that I had never actually met him until that day in the store. I was floored. FLOORED. So I asked Peter how on earth Nate knew me. Peter said they were on Facebook one day and Nate saw my picture, thought I was cute, and wanted to know more about me. So Peter told him all about how we were best friends in high school and that he had an extremely high opinion of me. So... Nate recognized me, knew enough about me to convince me I knew him, and he asked me out. OH MAN! As soon as I found out, naturally, I went to Peter's and Nate's place of work to confront Nate about it. He turned red, laughed a little nervously, and proceeded to apologize profusely for lying to me. No, I did not accept his second invitation for a date, but was so flattered that he worked so hard to get a date with me that I did not block him on Facebook (haha). He's married now. Maybe he'll name his first child after me. Who knows? 1. I have a really weird weakness for chocolate-covered strawberries. I think I'm actually border-line obsessive when it comes to those little chocolate-covered pieces of Heaven. 2. My silly claim to fame/celebrity moment. Can you tell I live in Utah? I saw Donny Osmond get thrown into the pool in his backyard while wearing a tuxedo, complete with Blackberry in the pocket at his son's wedding. 3. I'm allergic to almost everything and I'm not exaggerating. My allergist said I'm allergic to every tree, grass, and weed in Utah. I'm the worst case he's ever seen. 4. When I was little, I was a model in a magazine ad for children's tepees. lol. 5. The smell of certain Bath and Body Works lotions make me want to throw up. And now for the fun part!! I'm hosting a giveaway of one of my favorite books that I've had the opportunity to read because I write for TB&TB. 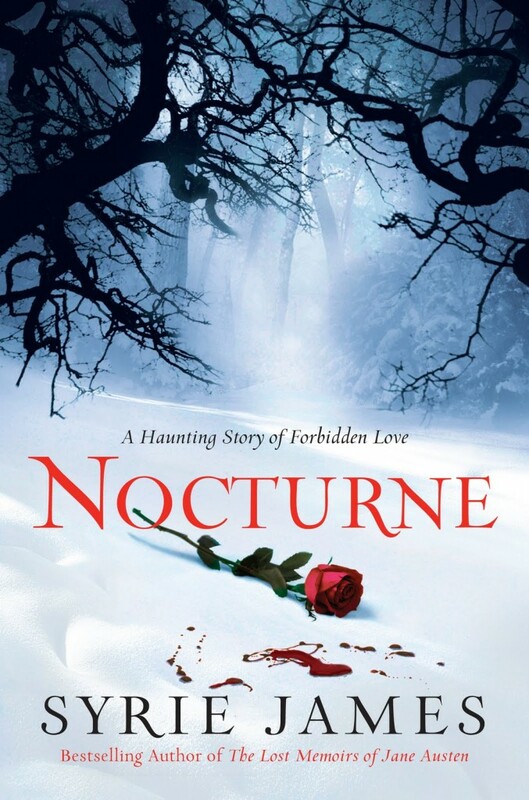 Many of you probably remember my review of Nocturne, by Syrie James . + One lucky winner will win a brand new, hardback, finished copy of Nocturne, by Syrie James. + Open to just USA readers. + Fill out this form right here if you want a chance to win! Thanks for taking the time to get to know me, and good luck to all those who hope to win! Happy blogoversary, TB&TB! Happy reading! That "Nate" seems like a creep! LOL you were nice not to block him. I pretty much have chain bookstores in my area too. There are a couple used ones, but they're not that great. Nice getting to "meet" you! I found you blog on Book Belle Blog. I liked you on facebook and following you on Twitter. Your blog is amazing. I entered your book giveaway. I normally don't enter giveaways but I am trying to learn a little about them because I would like to do them on my blog. If you get a chance check out my blogs. How anyone could think having many shoes is unneccesary is beyond me ;) I'm the same way. 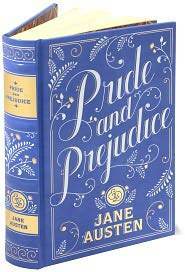 And your copy of Pride and Prejudice is soooo pretty! Much better than mine! LOVE your story about Donny Osmond, that's hilarious! Just found "My Ridiculous, Romantic Obsessions" at Seagull Book, it's even on sale. Oh, yay! Kimberly, that is seriously one of my favorite books. :) I love that you found it! And on sale, no less. Happy day! And thanks for the birthday wishes, you guys! Thanks for the chance to win 'Nocturne' by Syrie James... loved her memoirs/diaries of some of my favorite authors. YOu will LOVE Pride and Prejudice! 'Persuasion' by Jane Austen is my favorite, though! I am so glad that I found your site. I love the Top Ten Lists! I have even posted a few on my blog. This "Nate" sounds totally creepy! AND I thought I was the only one to correct grammatical errors in books! I literally take a red pen and fix them, but it's only in my text books. Is that weird? Bekka. Haha. A girl after my own heart. I don't find it weird that you edited your textbooks. I do find it weird, however, that your textbooks needed editing! Seems counterproductive, if you ask me! Aw, happy blogoversary. It's really wonderful that you're celebrating and I have to say that I've truly enjoyed reading your blog regularly. It keeps me entertained and up-to-date and even introduces me to older books, which I may not have noticed before. I wish I had cute little bookstores near me too! There's one used bookstore I go to sometimes but its more musty and cluttered than cute and quaint! Thanks for you interview, Jana! Ever since I read your review of Nocturne, I've been dying to read it! Thanks for the giveaway! The quote you share from My Ridiculous Romantic Obsessions reminds me of The Unlikely Romance of Kate Bjorkman by Louise Plummer. Have you read that one, Jana? I'll admit that I laughed when I read that your correct errors in books. I too will do everything to keep my series the same format, even spending extra money to do so. Like you, I fall in love with my books and cannot bear to part with them. Yay, Miss Lauren! I hope you win! Enbrethiliel, I love that you know the book! I think you're safe as far as spoilers go. :) I have not read that book, but I need to go look it up now! Thanks for the recommendation!